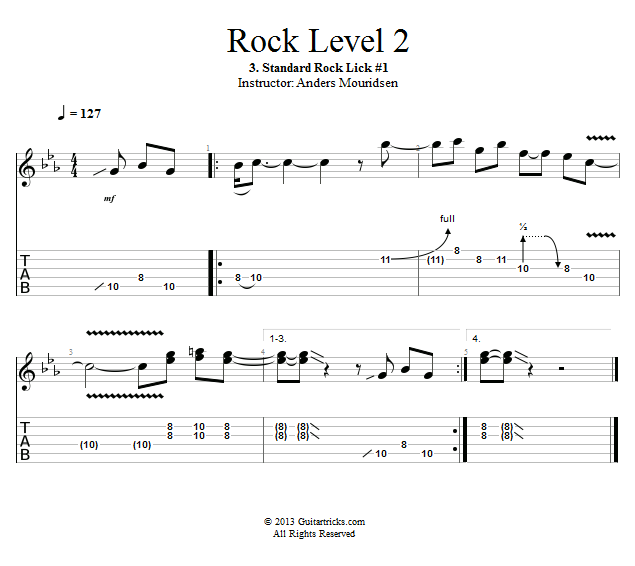 In this lesson I'll show you the first of our go-to rock licks. Down the road this may be a lick you learn from a fellow guitar player, your favorite record, or one that you come up with on your own. This lick is in the key of C minor and consists of several different parts that can all be isolated and improvised with!